Torys is pleased to welcome our 2012 summer law students. 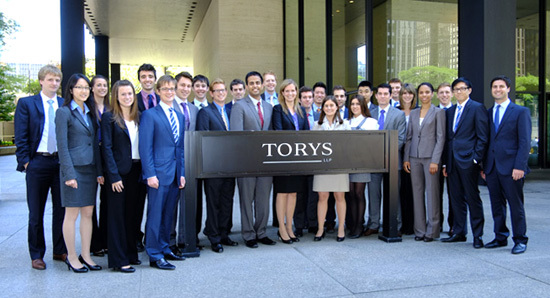 This year, we have 27 law students from six Canadian universities summering at Torys' Toronto office. We also have two summer law students in our Calgary office. Find more information about Torys' student program here.